Nick Meyers With the industry in commotion over last week’s Arizona Court of Appeals decision that left the legality of extracts in limbo, it’s a good time to go over the variety of products available in dispensaries and the processes used to make them. With the industry in commotion over last week’s Arizona Court of Appeals decision that left the legality of extracts in limbo, it’s a good time to go over the variety of products available in dispensaries and the processes used to make them. Extracts or concentrates make up a significant portion of dispensaries’ products, not to mention a good chunk of their revenue. whether THC, CBD, or some of the other compounds found in cannabis. Aari Ruben, owner of Desert Bloom RE-Leaf Center in Tucson, strongly believes in the “entourage effect,” or the efficacy of all the compounds in cannabis to assist in medical treatment. For starters, the differences in the available types of extracts stem from the extraction process and tend to lead to different effects. Long-time bud smokers will be familiar with the simplest extract, kief, which simply comes from breaking trichomes from the surface of the cannabis flower. (Trichomes are the tiny, gland-like formations in buds that produce THC, CBD, and other cannabinoids.) Dry sieve, or sift, is derived from kief that has been sifted through a series of screens for a higher THC concentration. Dispensaries tend to use more sophisticated methods of extractions. Three main extraction processes create different kinds of concentrates. Ice water extraction, also called solventless, is used to create bubble hash. The process entails using ice to freeze the trichomes, then using water to draw them through a series of screens until highly concentrated THC along with some plant material remains. Alcohol extraction typically makes use of ethanol as a solvent. Similar to ice water, the ethanol binds with the trichomes and separates them from the plant material. However, solvent also binds with chlorophyll and other plant waxes in THC (what Ruben refers to as “undesirables”) to produce a dark, thick, tar-like substance. Rick Simpson Oil, a popular herbal remedy derived from cannabis, can be made using the alcohol extraction method. Most products on the shelves come from a process called hydrocarbon extraction. This type of extraction is best left to the professionals because it uses liquid butane or propane as a solvent. Products that result from this method are referred to as BHO, or butane hash oil. Ruben said this type of extraction is conducted in a closed-loop system to limit potential problems. The butane bonds with the THC and CBD and then gets purged in a low-heat vacuum oven. From there, the final product depends on how the extract is handled. For example, crumble is made by whipping air into the oil for a light crumbly texture. Finally, rosin has been gaining in popularity. Rosin is typically made by smashing bubble hash at high temperatures to separate active compounds in cannabis, but can also be made with the flower or kief. Once the extracts are obtained, they can be used for many purposes — from edibles to tinctures. Extracts contain more THC or CBD per gram than buds, but no grainy matter, making it a better ingredient to add to food or drinks. 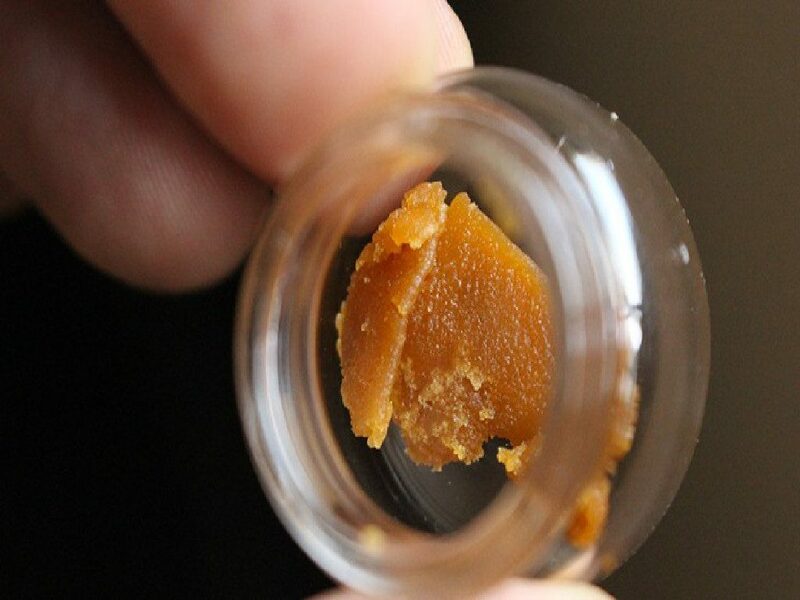 The Arizona Supreme Court is expected to give the final word on the legality of extracts for patients, but it’s unknown when that will happen.